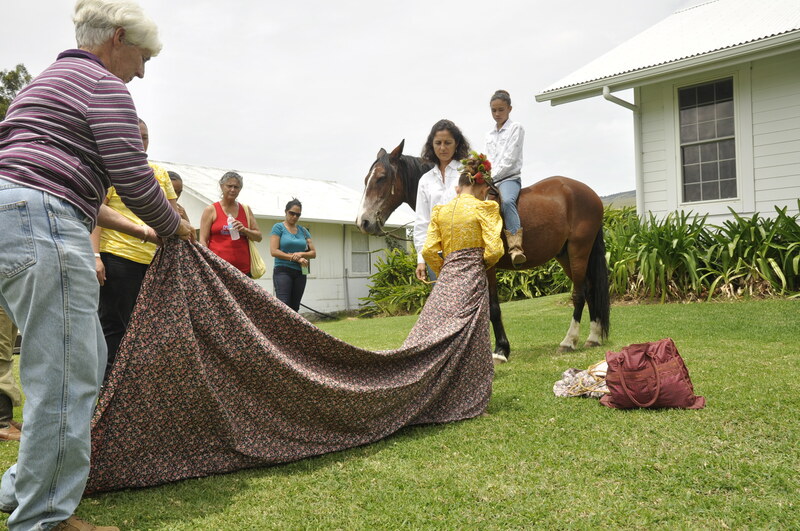 Come to the Pa’u Workshop at Kona Historical Society, Saturday, April 26, 2014 from 9:30 a.m. to 3 p.m.. Participants in this year’s King Kamehameha Day Celebration Parade will learn the fine points of the Hawaiian equestrian tradition known as “pa‘u.” Workshops include lei making for horse and rider, the wrapping of the pa‘u (skirt) and riding protocol. Lunch will be served. The workshop will be taught by local equestrians and historians Barbara Nobriga, DeeDee Bertelmann, Hannah Springer and more. The public is invited to attend. For information, call Barbara Nobriga at 322-9944.